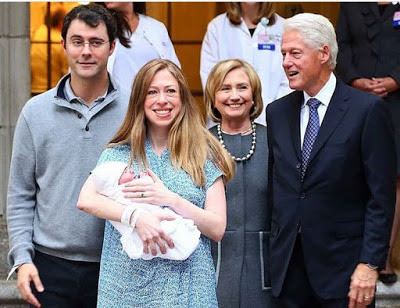 Chelsea, the daughter of US Democratic presidential candidate, Hillary Clinton and ex-President Bill Clinton, has given birth to her second child – a boy, he’s been named Aidan Clinton Mezvinsky. Chelsea and her investment banker husband, and the Clinton family are so happy. “We are all over the moon as Chelsea and Marc welcome Charlotte’s little brother to the world and grateful for our many blessings,” Hillary and Bill Clinton said. Joel &Victoria Osteen: Just Get Going! Our Daily Bread 5 July 2017 Devotional – Could I Say That?